Despite the title of this post, I am not actually petitioning aid for my unbelief. I’m well beyond that point. But make no mistake about it: I have vigorously prayed this prayer many times during my first forty years of life as a believer. Alas, that prayer was never answered. My unbelief was not abated by divine intervention. The Line, “Help my unbelief” is from a story in Mark 9. A man is desperate for Jesus to help his dying son. He seemed like a person who would have tried anything, and probably did. He would have tried anything, believed anything. He was desperate and afraid. We’ve all been there. The line has always captivated me from the moment I first read it as a child. The insertion of this very human moment contradicted everything I thought I understood about faith. It left me hopeful, but hopelessly confused. It seemed to stand in stark contradiction with other passages that required absolute faith. Jesus could do no miracles in his home town because of the lack of faith shown by the people there. His own disciples could not cast out a particular demon because of their doubts. And they certainly had more faith than anyone else, as they had seen and performed other miracles first-hand. If even a little doubt could render them impotent, what hope did anyone else have? Yet, here is a man admitting doubt, and yet, got the miracle he was so desperate to receive. How is that even possible. More to the point, if it was possible for him, why shouldn’t it be possible for me. That was my question then, and is my question for believers today. 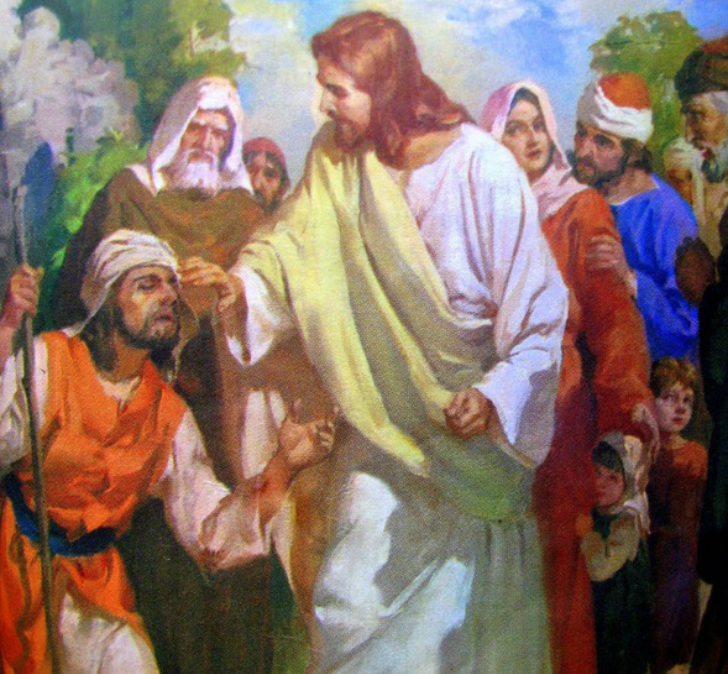 You will notice that the disciples rejoiced only after they had been convinced by the wounds. Thomas wasn’t with them at the time. When they told him about it, he also insisted on seeing the evidence before being convinced. The story highlights Thomas as a doubter because he held out for the evidence. I’m fine with that. He held out for the evidence. He saw the evidence. And he believed as a result of the evidence. Even more interesting, Jesus actually gave him the evidence rather than the more typical mercurial answer for which he was known. Not only that, he accepted Thomas’s faith rather than rejecting him as a disciple because of his demand for proof. Of course, Jesus upbraided him for his lack of faith, and made a speech declaring those who believed without evidence were somehow better. But none of that really matters because the faith of Thomas was apparently sufficient for him to continue as one of Jesus’ 12 representatives. If it was good enough for Thomas, I’ll take it. Except, it seems that option is no longer available. It is either faith without evidence, or nothing. As I have said many times in other posts about the matter, we do not choose what we believe. We can choose what we want to believe. But when it comes to what we actually believe, we either believe it or we don’t. We can’t skip the builtin mechanisms we have for distinguishing truth from falsehood, muscling past our mental gatekeeper. We can’t short-circuit the pathways to proper belief. Just try as hard as you can to believe in the Flying Spaghetti Monster. You simply can’t do it. That is what I call an impossible faith. What god seems to demand today is an impossible faith. My not believing things that are hard to believe does not make me a bad person. It makes me a properly functioning human. At worst, it makes me Thomas. God does nothing to try and persuade us. He simply demands that we believe. It is a little like demanding that you love someone you never met, and aren’t too sure if that person even exists. Love this person, or die! Believe these propositions sans clarification and proof, or die! It is the mad man who demands that you love him while he holds a gun to your head. I can try to fake it. But I can’t accomplish it. He might as well pull the trigger. There is simply no getting around it. Without faith (to paraphrase the Soup Nazi from Seinfeld), no grace for you! This particular passage highlights two propositions you have to believe. The first is that god exists. It is interesting that the writer of this passage does not automatically assume that everybody knows that god exists, or that there is sufficient evidence for his existence. He lists it as a proposition that one must take on faith. The second is that god rewards those who seek him. I know many Christians who do not believe in heaven, and hold no classical view of eternal reward. I find the second proposition even more interesting because it seems to be unimportant in the grand scheme of things. Belief in god seems essential enough. But reward? What does it matter if a believer understands the idea of godly rewards? Why not demand belief in the risen Jesus, or blood atonement? Why something as inessential as the belief in reward? This will always be a mystery to me. What I am certain of is that the bible makes faith a prerequisite for receiving the not so free gift of grace. Christians unquestioningly accept faith as the price of grace. I do not. Why must we believe anything? If you have never asked yourself this, ask now. We don’t actually need faith for any of the laws of physics to work. Gravity, quantum mechanics, and relativity operate as predicted whether or not I understand or believe in them. I don’t have to believe in the benefits of oxygen to draw a breath. Nor do I have to believe that a snake is venomous before it can kill me. This is true even in interpersonal relationships. If I make the unlikely promise that I will give you a pony, it is not incumbent upon you to believe it. In fact, if you know anything about me, it would show good judgement on your part to completely disbelieve it. The responsibility to deliver your pony is mine, and mine alone. You can disbelieve it all the way up to the point that the pony is in your yard, with all the appropriate papers declaring me the giver and you the owner. My fulfilling my promise does not require your faith. I have been close enough to death so that I was certain I would die in the hospital, and not live to see another sunrise. I remember closing my eyes having zero faith that I would open them again. Fortunately, my faith was not required, as years later, I’m still here. Many mornings, I wake up a little surprised to have successfully done so. Faith is meaningless in every practical aspect of our lives. We don’t need faith for a thing to be true, or to receive a gift, or to accomplish the unlikely. One might argue that wishful and positive thinking offers some benefit. But faith is presented as something distinct from hope and positive thinking. While hope may give you some measure of confidence where none is called for, faith will not give you better grades. It will not grow back your thinning hair. It will not keep you from being hit by a drunk driver. It will not add one good day to a bad marriage. It will not keep the repo man from driving off with your car. Faith profits nothing! But… What if I’m wrong? What if I disbelieve as a result of being born to the wrong family, or in the wrong part of the world? What if I was provided misleading information during my formative years? What if I have a defective gene? What if I am mentally and emotionally incapable of the understanding required for faith? What if any number of things I haven’t even mentioned is keeping me from believing? I am still required to believe in what I clearly cannot. I have been a seeker, not a finder. I have searched the scriptures multiple times. I have prayed with the fervor of a thousand priest, “I believe! Lord help my disbelief!” Until that prayer is answered, I don’t see the point in any other prayers. What I am left with is what I actually believe and don’t believe. I cannot muscle past the gatekeeper of my better judgement. I will happily take the reward of Thomas based on his evidence-powered faith. I await god’s presentation of the evidence that would persuade me. This entry was tagged faith, grace. Bookmark the permalink.